Coming off of a four game losing streak, the Stingers needed to get their season back on track with a win against the Royal Military College Paladins. 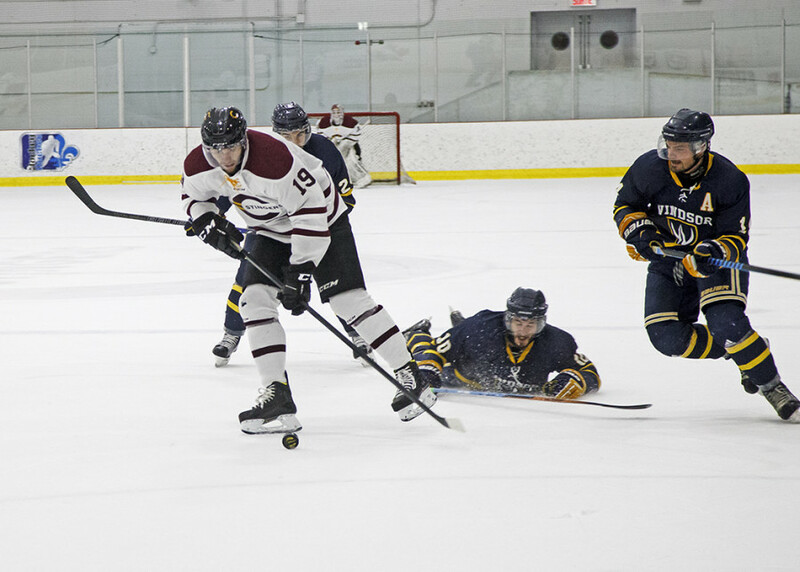 Despite a late comeback attempt by the Paladins, Concordia would hold on for a 6-3 win. “We’ve been playing hard a couple of the last games but we didn’t get a win. We got it today and it was an important game for us to get that win,” said Stingers head coach Marc-Andre Element. In the opening period, the Stingers were able to take a three goal lead against the Paladins. The first goal came from Stingers forward Charles-Eric Legare, who scored a wraparound goal. The second goal came when forward Luca Ciampini was hooked on a breakaway leading to a penalty. Ciampini was able to convert and give the Stingers a 2-0 lead. It would also be Ciampini’s first as a Stinger. The last goal came off of a powerplay when Ciampini tipped a point shot from forward Philippe Hudon to give the team a 3-0 lead after the first period. The scoring didn’t stop there. Frederick Roy would add another to the lead, early in the second period. The Paladins would eventually get their first of the game when forward Mathieu Lavallée scored, but Hudon and the Stingers answered back with a goal of their own, making the score 5-1. Royal Military College would attempt a comeback late in the game though. Bruce Hornbrook would score for the Paladins to make the score 5-2. Then, halfway through the third period, Paladins forward Jake Bullen would score to get his team within two. However, the other goals never came and Matt Boudreau would add a late empty net goal to seal the victory for Concordia. Concordia will play their next game away versus the Nipissing Lakers on Nov. 20.